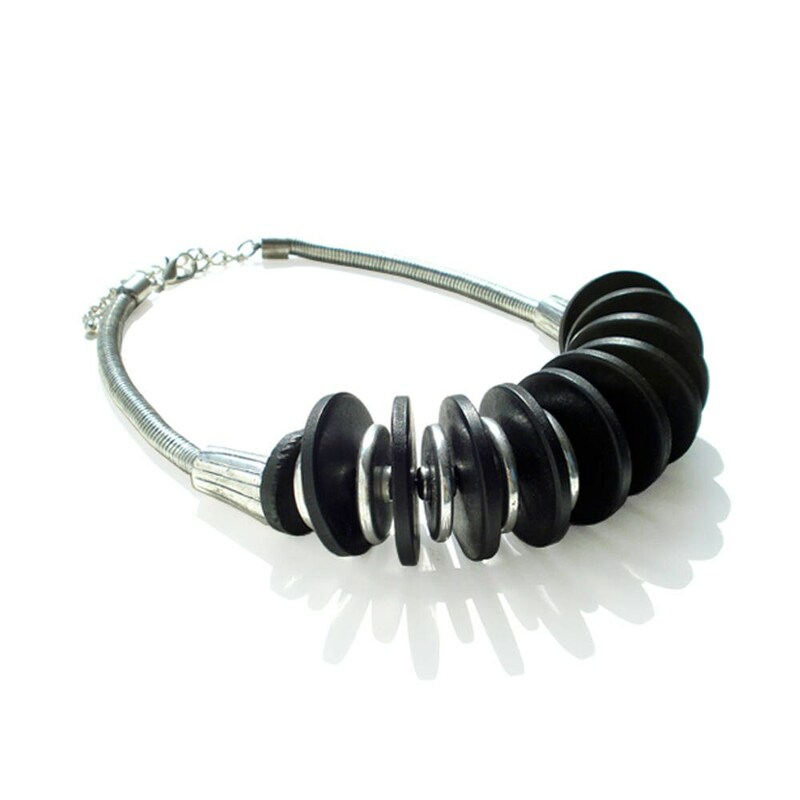 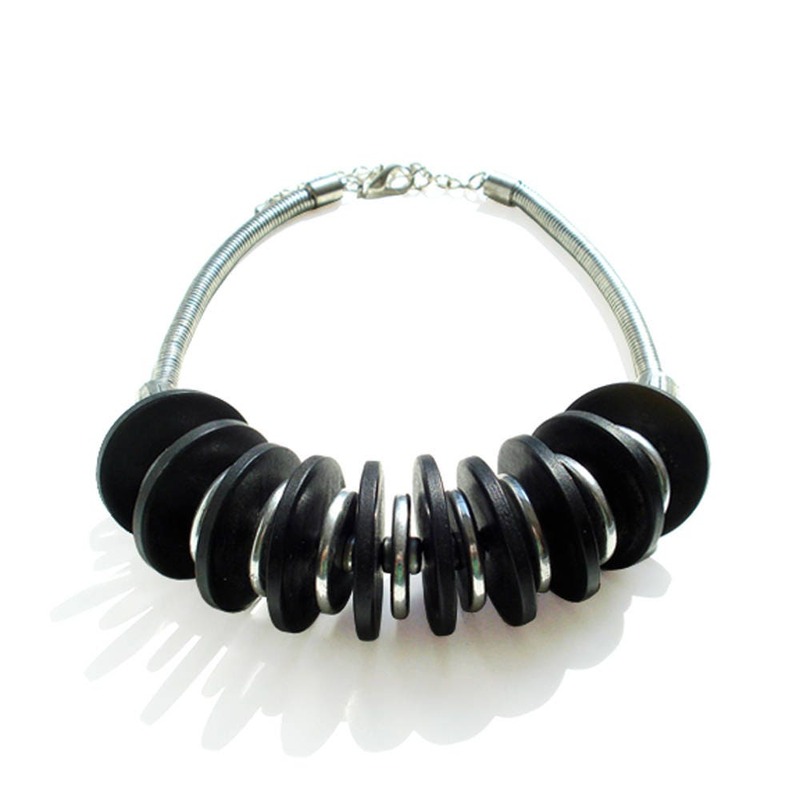 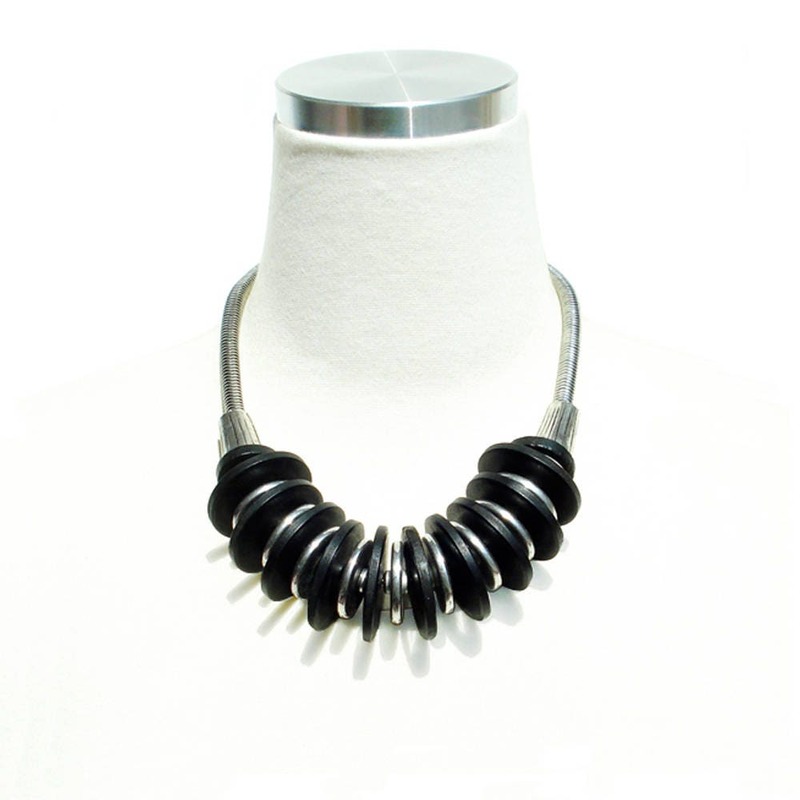 Striking Chunky Necklace with it's own twist! 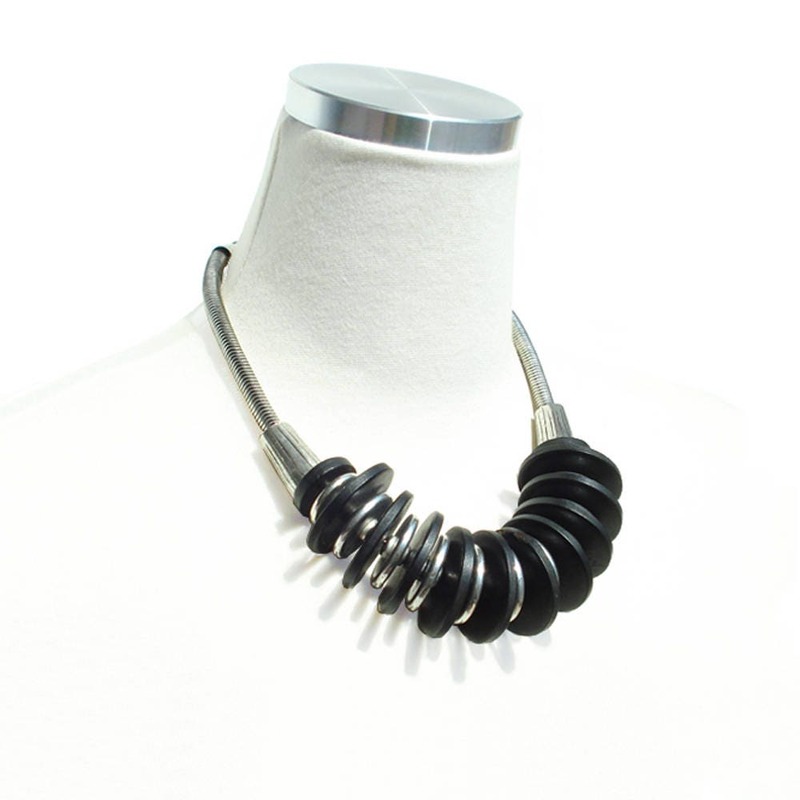 Combination of different sizes of rustic metal tone spacers and wooden beads stung on metal snake chain together. 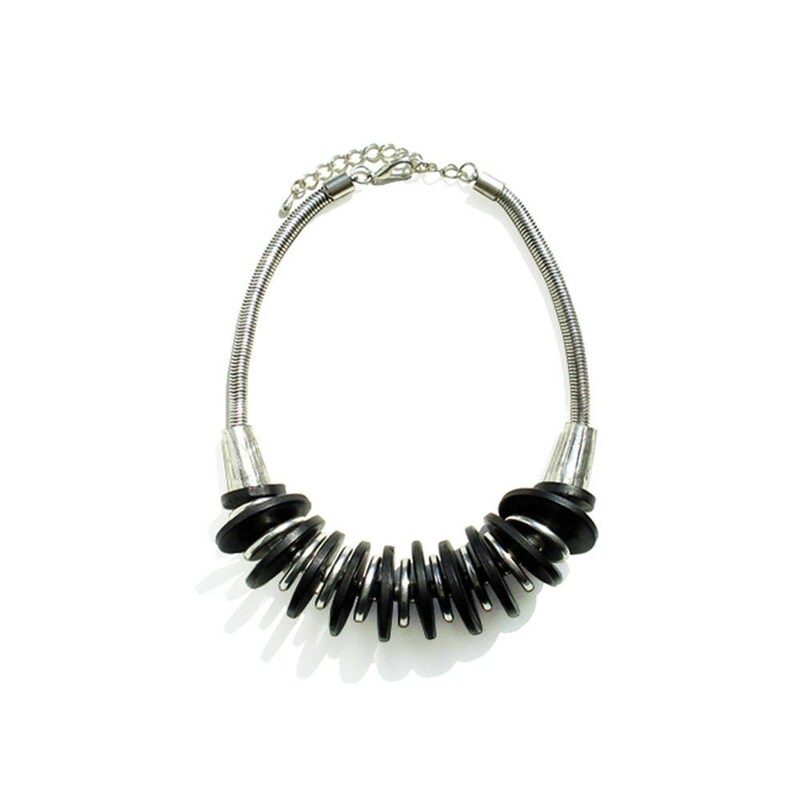 Great way to add some volume to bear neckline with touch of ethnic chic.